Spider-Man: Far from Home countdown clock has already been revealed. Now is the time for Avengers 4 Countdown Clock for Avengers 4 release date. Yes, they have done it for Avengers 4 now. The Avengers 4 release date is 174 days far from now. You can have a look at the Avengers 4 countdown clock from this link. This can lead to form a ritual for the fans to visit the site every day. 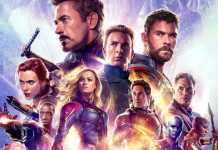 Just to see the days remaining for the Avengers 4 release date, they will be visiting the site regularly. 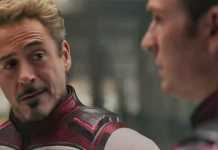 As of now, fans are trying to get any small detail or plot leak related to the upcoming Avengers movie. There has been no information related to the title. Many rumours regarding the plot and the title have been aired but none of them has been confirmed yet. The fans are now theorizing about the first trailer. They are now speculating about the possibilities of the content in the first trailer. The plot for the first trailer can possibly include the portrayal of the time travel. It can also show the use of time travel to stop Thanos and The Snap from happening. Moreover, it can show the Quantum Realm theory and using it to time travel may be. Also, the fans are connecting the dots by using Captain Marvel as the key. They are assuming her as the key to join the Infinity War and Ant-Man and the Wasp’s Quantum Realm. That’s all the speculation till now. Since the movie has kept under such deep wraps, all we can do is to speculate. I hope that the situation gets change as this Avengers 4 countdown clock decreases. Avengers: Infinity War and Ant-Man and the Wasp are now available in Blu-ray.